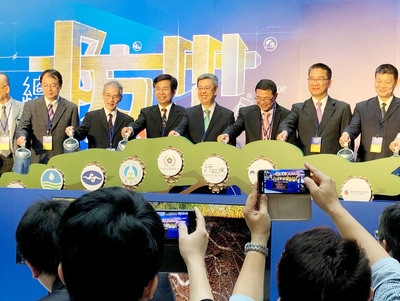 Taipei, June 20 (CNA) A railway used for sugar cane transport in Yunlin and Chiayi counties in southern Taiwan is expected to collaborate with Taiwan High Speed Rail (THSR) stations to promote local tourism spots. The railway, which serves Yunlin County's Huwei Sugar Factory, is to be extended westward to the THSR Yunlin Station and an abandoned sugar refinery in Baozhong Township, and eastward to Dounan Station, which is administered by the Taiwan Railways Administration (TRA). Once the railway is connected, local heritage sites such as historical houses and a traditional hand puppet show center can be better promoted, Yunlin Deputy Magistrate Ding Yan-zhe (丁彥哲) said June 13. Another sugar railway serving Suantou Sugar Factory in Chiayi County is to be extended eastward to THSR Chiayi Station, and westward to the southern branch of the National Palace Museum. Chiayi Magistrate Chang Hua-kuang (張花冠) said she hopes the railway can be finished next year before the Lantern Festival. The Taiwan Sugar Railway was developed in 1906 in a narrow gauge of 762 millimeters -- about half the standard gauge -- to carry sugar cane and goods around the southwestern Taiwan plain, but demand declined as the car industry developed. In recent years, more and more factories have transformed their sugar trains to tourism. According to the Bureau of High Speed Rail under the Ministry of Transportation and Communications, railway construction in Yunlin and Chiayi counties have been included in the government's major infrastructure development plan, which is being deliberated in the Legislature.